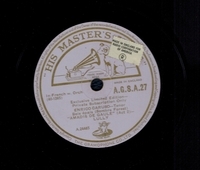 R0221. 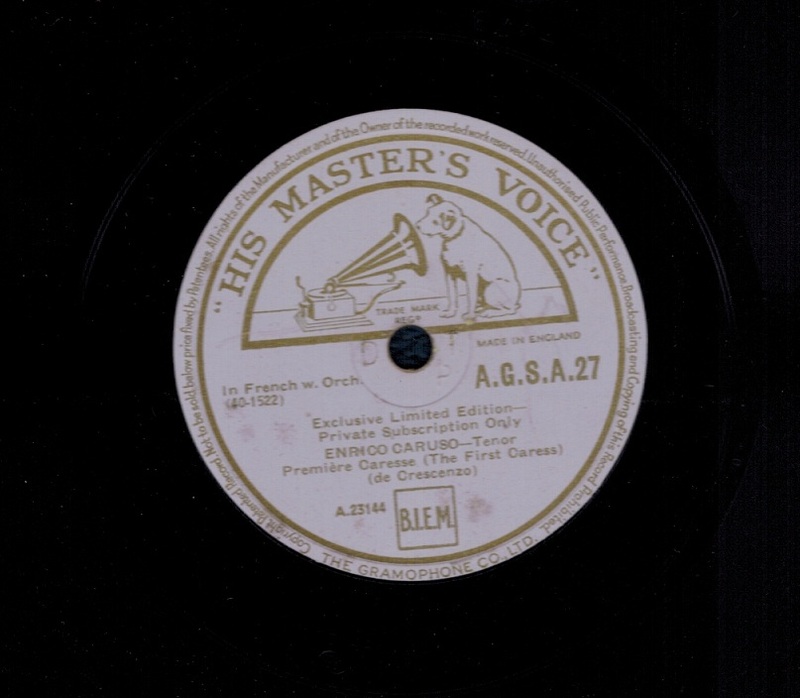 ENRICO CARUSO: Première caresse (de Crescenzo) / AMADIS DE GAULE – Bois épais (Lully). 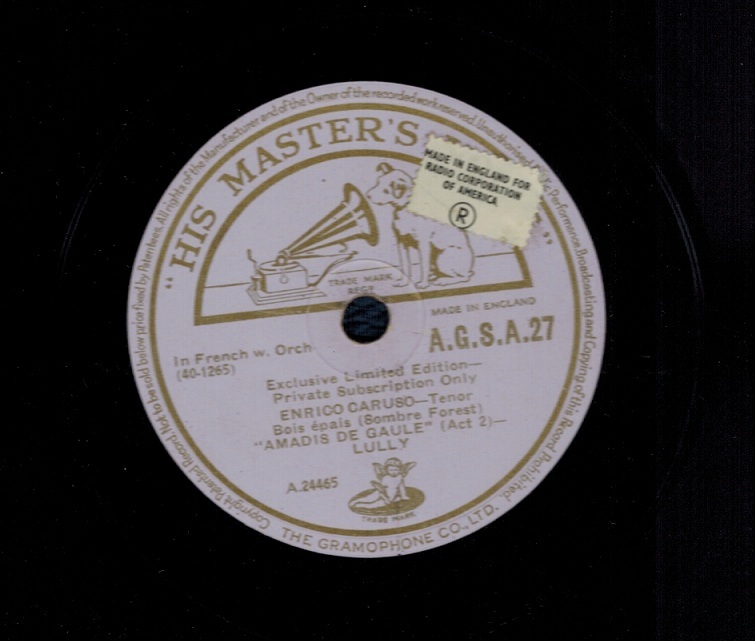 10” AC mauve & gold HMV AGSA 27, recorded 9 Sept., 1919 / 16 Sept., 1920. These are dubbings, never listed in a pre-1931 U.S. catalogue. Choice copy appears as New!